Join us for a breath of fresh air this Easter at Fota House, Arboretum & Gardens, one of Cork’s most idyllic locations! The magnificent Arboretum will be the setting for Dorothy’s Trail, which will bring the history and beauty of Fota alive for everyone. Amongst the trees and wildlife, follow the woodland path, leading you to your very own Easter treat! This self-guided Easter Trail follows in the footsteps of the young Dorothy Bell, Fota’s former owner, as she explores her imagination in the gardens. At the finish, claim your yummy chocolate egg, kindly sponsored by Cadbury’s. Come along for an EGGciting day out for all the family that is suitable for all ages! By enjoying our Easter trail, visitors are directly contributing to the ongoing restoration and conservation of Fota House, Arboretum & Gardens which is owned and managed by the Irish Heritage Trust charity. Book tickets online now, join us for Easter, and be part of something special. €8.00 per child, adults go FREE! 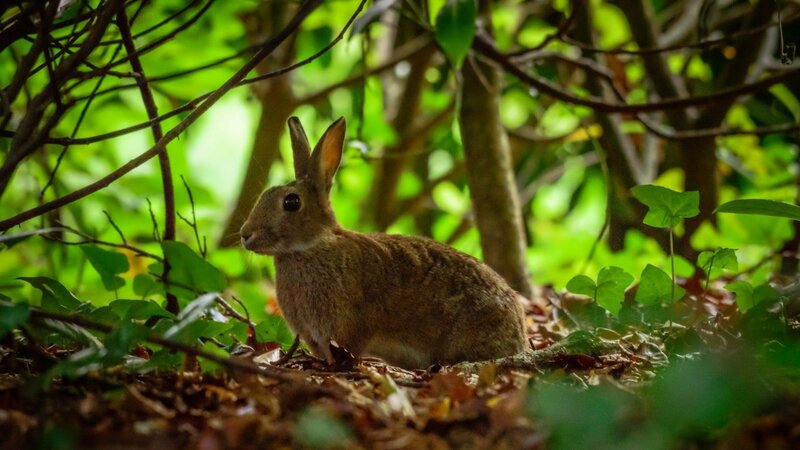 Our beautiful spring bunny photograph is courtesy of regular Fota visitor Chris Martin – our sincere thanks to Chris for his fantastic shots! Dorothy’s Easter trail is self-guided and involves follOwing a woodland trail with things to see and do on the way! Finish by claiming your very own Cadbury’s chocolate egg. Keep an eye on the weather, the trail will run in all but the worst! Wellies and rain jackets advisable if cloudy skies are about! Each ticket provides access to one child to the Spring Easter trail and includes one Easter egg.